True Precision Plastics appreciates the fact that our customers have made a significant investment in the design and construction of their tooling and fixtures. That's why our Tool Room Technicians meticulously care for your molds and tooling. A preventive maintenance plan is implemented for each mold. When modifications are required, we are equipped to fulfill most of those needs internally. 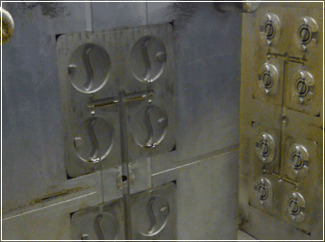 Where needed, we also work with highly skilled external sources for mold modifications. Additionally, warehousing of tooling and molds is available for all our customers.